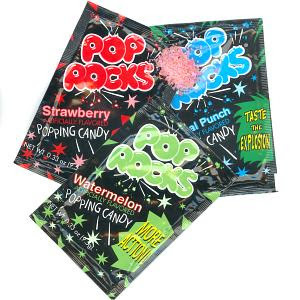 The owner of POP ROCKS carbonated popping candy (or “gasified candy”) filed suit against the makers of a popping candy sold under the name ROCK'N'POP. Zeta Espacial S.A. (“Zeta”), a corporation based in Spain, is the company which currently owns numerous federal trademark registrations for the mark POP ROCKS. On February 19, 2009, Zeta filed a trademark infringement lawsuit in the U.S. District Court for the Northern District of Illinois against Imaginings 3, Inc. (“Imaginings”), an Illinois corporation doing business as Flix Candy. A copy of the complaint can be downloaded here. According to the complaint, Imaginings makes its own popping candy which it sells under the name ROCK'N'POP both through wholesale distributors as well as on its website www.flixcandy.com. 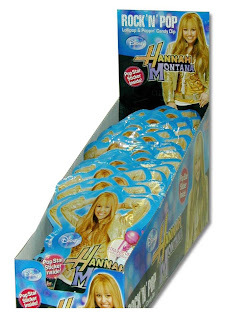 [Note: the only image of any ROCK'N'POP popping candy I could find was the below picture of ROCK'N'POP lollipop and popping candy dip featuring Hannah Montana]. Zeta maintains that Imaginings use of ROCK'N'POP in connection with its popping candy is likely to cause consumer confusion with and dilution of Zeta’s POP ROCKS Marks. 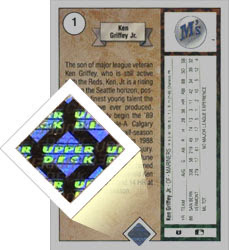 Zeta’s causes of action are trademark infringement under 15 U.S.C. § 1114; unfair competition under 15 U.S.C. § 1125(a)(1); federal trademark dilution under 15 U.S.C. § 1125(c); deceptive trade practices under Illinois state law (815 ILCS 510/2); trademark dilution under Illinois state law (756 ILCS 1036/65); and common law trademark infringement and unfair competition. 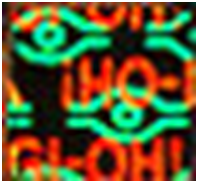 Seems like another example of a case where at first, it would seem apparent that there is no likelihood of confusion given the aural and visual differences between the marks and their different commercial impression. 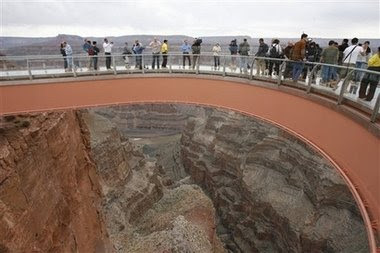 However, once you start applying the likelihood of confusion factors, a different picture emerges that favors Zeta more than one might initially think – strong mark (Zeta will have strong sales and advertising figures and the mark is famous, but there could be some possible room to argue genericness or that the mark has become weak), similarity between the marks, similar goods, similar marketing channels, and inexpensive nature of the goods (low degree of consumer care). While I still think Imaginings has the advantage if it ever went to a jury, does Imaginings really want to get embroiled in an expensive fight over the name? Of course, no posting about POP ROCKS would be complete without some reference to the famed urban legends surrounding the dangers of eating the candy and then drinking cola. In the internet age, you can even watch the urban legend be tested – ranging from the serious (Mythbusters) to the ridiculous (here). Law.com posted an article (link here) regarding the trade dress enforcement efforts undertaken by Energy Brands, Inc. (d/b/a Glacéau), the company behind the fruit-flavored “enhanced” water VitaminWater which was purchased by Coca-Cola in 2007 for $4.1 billion. The article describes the efforts by the company’s legal team in aggressively going after competitors that try to imitate VitaminWater's bell-shaped water bottles with their two-toned labels (pictured above). 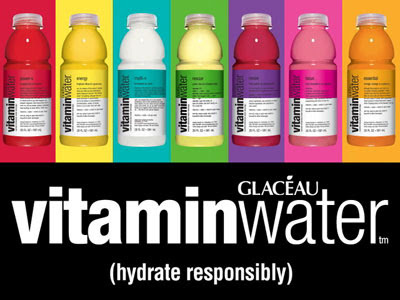 Glacéau is currently seeking to register its VitaminWater bottle with the U.S. Patent and Trademark Office ("PTO"). Glacéau received a registration for the bottle label. However, Glacéau’s application to register the actual bottle design (filed June 24, 2008) has been preliminarily refused by the PTO on the basis that the product packaging is functional and thus incapable of serving as a source identifier and furthermore on the basis that the packaging is not inherently distinctive. The PTO is currently only willing to register the wording and design on the label (which Glacéau already has). With Coca-Cola’s trademark legal team supporting it, I would expect a significant response to the PTO’s action by Glacéau arguing that its bottle design is not functional and that product packaging is inherently distinctive (or alternatively, Glacéau can prove acquired distinctiveness based on its strong marketing efforts to date – after all, if Coca-Cola was willing to pay $4.1 billion for the company, it must have been doing something right). Anyone care to make any predictions on whether Glacéau will prevail? One thing I could not have ever predicted – consumers would pay good money for flavored sugar water. Isn't this just bottled Kool-Aid? On February 6, 2009, the court involved in the “epic” adidas v. Payless trademark infringement lawsuit that in July of last year resulted in a jury verdict of $305 million (although later reduced by the court to $65 million) has decided that the case is not exceptional enough to award attorney’s fees. See adidas America, Inc. et al v. Payless ShoeSource, Inc., 2009 U.S. Dist. LEXIS 9482 (D. Or. Feb. 6, 2009). For excellent background on the decisions last year, see Michael Atkins’ Seattle Trademark Lawyer blog post here. The court further noted that there was no evidence of point-of-sale confusion, the infringing shoes all had two or four stripes rather than the three stripes from adidas' trademark, there was substantial evidence of companies other than Payless selling two and four stripe shoes for years, and there was no evidence that adidas lost any sales because of the infringement (the court noted that the jury’s damages award, while substantial, “was based on more theoretical types of damage than lost sales.”). The court also declined to award $1,362,380.94 in other nontaxable expenses (telecommunications expenses, postage, messenger charges, travel, online research, mediation fees, and expert witness fees), for which the court has discretion to award as reasonable attorney fees in exceptional cases. See Mathis v. Spears, 857 F.2d 749, 758 (Fed. Cir. 1988). 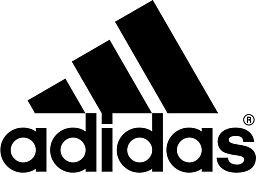 The court’s decision then goes through the remaining $383,226.49 sought by adidas in costs that are taxable under 28 U.S.C. 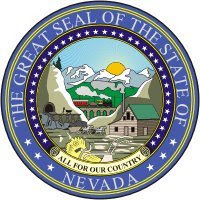 §1920 and ultimately awards $380,596.84 (the difference being a pro hace vice fee for one attorney that the court found was not reasonably necessary to the case and about 2,245.00 in delivery costs, which are not taxable under §1920. Smith v. Tenet Healthsystem SL, Inc., 436 F.3d 879, 889 (8th Cir. 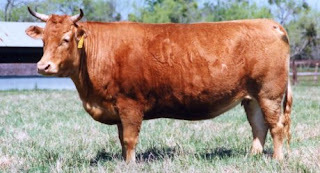 2006)). Finally, the court also declined to award adidas prejudgment interest of $ 10,445,154.12 on the award of actual damages and $ 6,712,823.98 on the award of profits. First, adidas’ post-judgment motion for prejudgment interest (governed by Federal Rule of Civil Procedure 59(e)) was apparently filed one week late and thus untimely such that the court could not award prejudgment interest. Second, the court added that even if he could have awarded prejudgment interest, it would have declined to do so for the same reasons why the court did not consider this case an exceptional case and because such prejudgment interest is not necessary to make adidas whole from this infringement. So let this be a lesson to those plaintiff’s attorneys who so confidently inform their clients that they can recover attorney’s fees for a defendant’s infringement based on the idea that such infringement is “exceptional” -- think again. Of course, one wonders if the court would have thought differently had a much smaller, but still significant judgment (e.g., $5 million) been awarded by the jury. The Charlotte Observer had a story today on a trade dress infringement lawsuit filed last week by Charlotte, North Carolina based cookie company, Lance Mfg LLC, and Archway Bakeries, LLC –– the owner of the Archway Cookies brand and purchased by Lance out of bankruptcy in December –– against Ontario, Canada-based Voortman Cookies Ltd. in the U.S. District Court for the Western District of North Carolina. See Lance Mfg LLC et al v. Voortman Cookies Limited, Case No. 09-cv-00044 (W.D.N.C. Filed February 6, 2009). 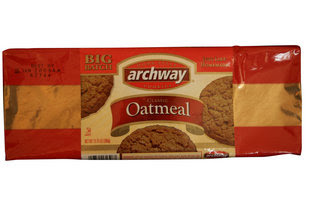 Since 2005, Archway has used a red-and-gold plastic packaging for its best selling oatmeal and oatmeal-raisin cookies. 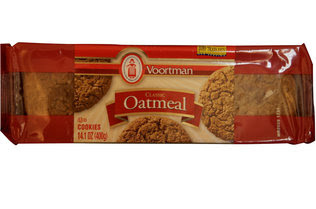 Apparently in the last few weeks, Voortman began selling its oatmeal and oatmeal-raisin cookies in a very similar red-and-gold packaging. 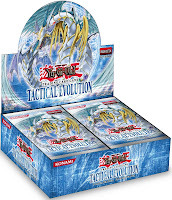 Archway alleges that the infringing packaging is designed to “exploit the uncertainty among both consumers and the retail trade resulting from the Archway bankruptcy” in order to confuse consumers into believing that Voortman is the new owner of the Archway brand. Given the obvious similarities, the primary issue will probably be whether Archway’s product packaging is distinctive enough in the marketplace to serve as a source identifier (i.e. whether Archway’s packaging is protectable trade dress)? While product packaging can be inherently distinctive (see Two Pesos, Inc. v. Taco Cabana, Inc., 505 U.S. 763 (1992); Wal-Mart Stores, Inc. v. Samara Brothers, Inc., 529 U.S. 205 (2000)), because Archway’s trade dress does not appear to have been registered with the PTO, it will first have to demonstrate that its product packaging is inherently distinctive (so unusual and memorable that it is likely to serve primarily as a designator of origin of the product) or, alternatively, that it has acquired a secondary meaning such that consumers have come to associate the packaging exclusively with Archway. It's not clear how much advertising dollars Archway has spent in the relatively short period of time (since 2005) in which it has been marketing its cookies using this product packaging. However, evidence that another party has intentionally copied a particular trade dress will often times be considered strong evidence by the court that the trade dress has acquired a secondary meaning. A former Las Vegas businessman got a lesson in trademark law and found out the hard way how seriously some large companies take their trademarks. This last Saturday, the Las Vegas Review Journal had an article (link here) about a lawsuit filed by Virgin Enterprises, Ltd. (“Virgin”), the owner of numerous trademark registrations for the mark VIRGIN, against Paul Johnson, the owner of Virgin Properties – a company specializing in acquiring and development of previously untouched property (i.e., “virgin” property). [Note: I was unable to find the lawsuit listed on Justia.com]. Benjamin Spillman, the reporter who wrote the story, interviewed me about the lawsuit and included a few of my quotes. As most lawyers in the trademark world already know, Virgin is well known for trying to stop any other businesses from using the word “Virgin” in connection with any other goods and services (regardless of whether Virgin actually holds any trademark rights to the mark VIRGIN in connection with an alleged infringers goods and services – and thus apparently having to rely on a dilution type of argument occasionally where the traditional likelihood of confusion might fail). Click here for a listing of other trademark applicants who were challenged by Virgin in their attempt to register some mark with the word VIRGIN in it. And thus, the reason why this man using the term VIRGIN in connection with the descriptive term PROPERTIES incurred the wrath of Virgin. Of course, one wonders if Johnson had instead chosen to use “virgin properties” in a more obviously descriptive sense (e.g., “Paul Johnson – Selling Virgin Properties Exclusively Since 2000”), would Virgin still have gone after him?